17 year old Maia Schmidt was honored to be selected to give a prestigious Young Artist’s Series Solo recital in February, 2016. She performed beautifully! 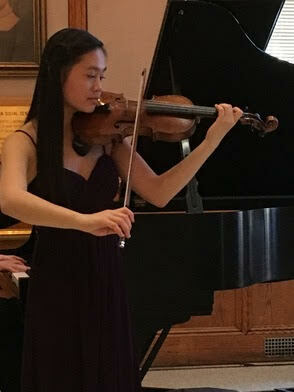 The recital included the entire Mendelssohn Concerto, accompanied Bach, Ysaye, Beethoven’s “Spring” Sonata, and Brahms’ powerful Sonatensatz. Maia worked incredibly hard and fully dedicated herself to this performance.